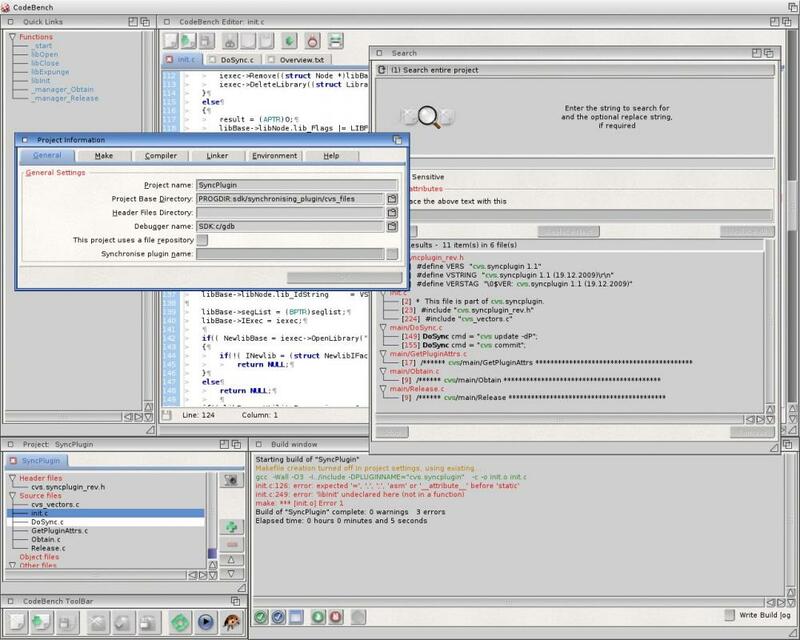 Designed purely for use on the latest version of AmigaOS, CodeBench is a management system that is modular to allow adaptation to various programming languages. Utilising a "project" based system, all files are grouped together by type and are easily accessible from the Project Window. Editing is a simple matter of selecting the required file and it is opened in the built-in editor. Creating the finished article from the project is a one click event from the toolbar. Listed below is a basic description of the more important features of CodeBench.